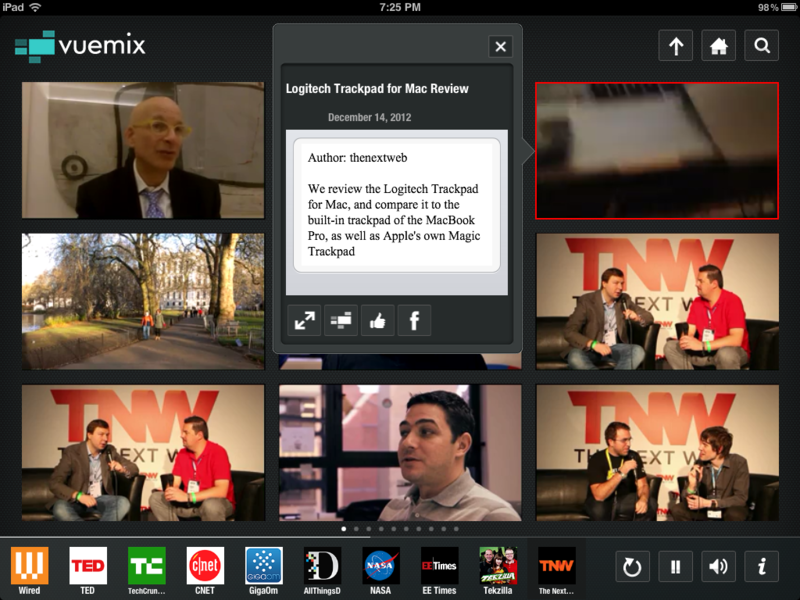 Online video platform Vuemix has released its iPad app that displays nine videos simultaneously on a single screen. Through this service, users are able to do a more thorough search to curate all related videos through a Google-like algorithm. In addition, useful, entertaining, and/or informative videos can be shared and consumed right from the iPad device. In an age where video is one of the most requested content types, it can be rather difficult to find videos that you’re looking for just by having still images. 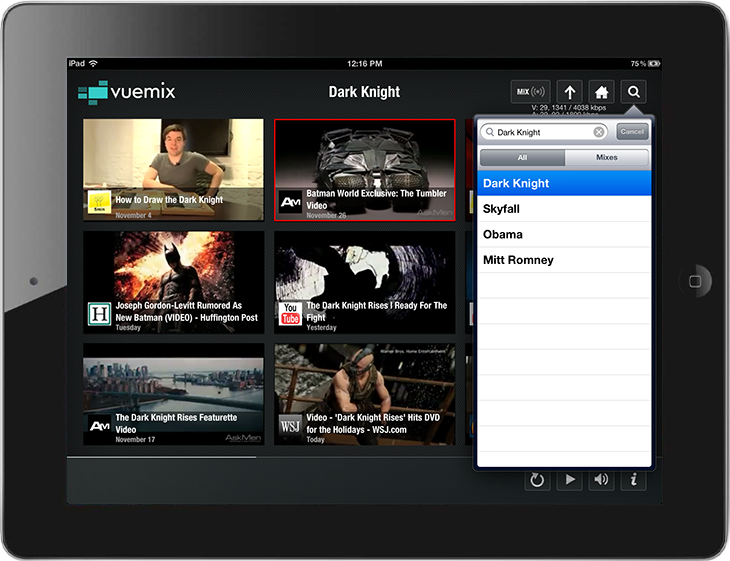 Vuemix does the searching across 1,000 sources and pulls in the relevant videos, displaying nine on a screen with auto-play enabled. The app sorts videos based on what’s trending now, along with numerous categories, including movies, fashion, technology, sports, news, and music. With the search feature, users can search similarly to how they perform a text search — simply type in the topic of interest and the service will display a selection of videos for you to enjoy. Vuemix takes videos from across the Internet and shows a trailer for each that lasts no longer than 60 seconds. By doing so, the company abides by Fair Use rules and gives the user enough context to know whether it’s what they want. If it is, they can double tap on the video and be linked straight to the source. As mentioned previously, the app pulls in content from 1,000 sources, including CNN, CBS, NBC, FOX, People magazine, TMZ, Cosmo, the NFL, NBA, Major League Baseball, and the Golf Channel. Beyond that, it also pulls in videos from the top 10 to 12 sites within each respective category. YouTube is also a source, but a bit more complex — mostly because it has a massive library to comb through. The company says that it looks at the top 250 channels on the video site. Vuemix also enables sharing of videos to and from Facebook. Users can produce their own “Viewmix”, which is a playlist of the nine most recent videos posted by friends aggregated into a single wall display. In addition, they can generate their own “favorites” and add individual videos or the “full video collage” directly to their Facebook wall. The app is free to download, but only for the first 15 minutes of video playing. Through this “try-before-you-buy” period, after a user exceeds this time limit, the app will no longer auto-play videos in the preview mode. Instead, it will display static JPEG images. However, double tapping on the image will display the source of the video and users can watch it there. Should users wish to permanently enable the auto-play feature, it will cost them $2.99. While it’s currently available on the iPad, Kizhepat tells us that an iPhone version is in the works and is scheduled to be released in early February. Additionally, the iPad app is only available in the United States and Canada — it hopes to expand to other countries either in the late first quarter or the second quarter of this year. The company says it will make money through the use of featured pages and ads — already it says it received a lot of interest from content providers and publishers for these tools. 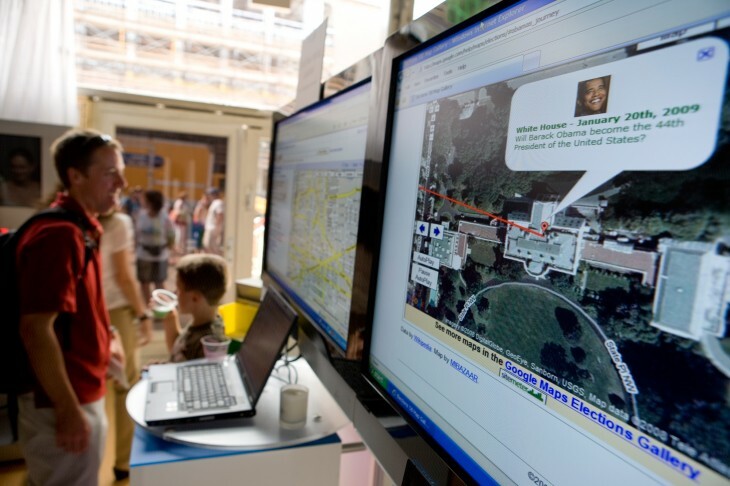 Vuemix has raised an undisclosed amount for its Series A round of funding.